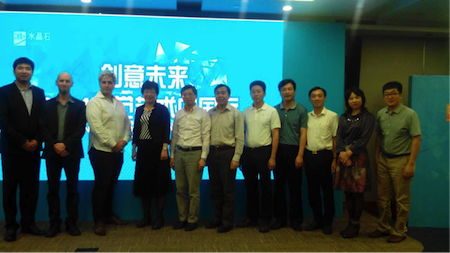 Two faculty members, Patrick Pennefather and Bill Zhao, visited China last month, touring 4 cities in 8 days. 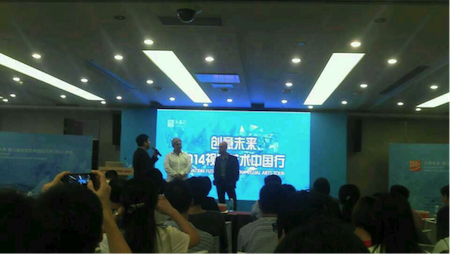 Crystal Institute of Digital Education, a professional education institute based in Beijing, invited Patrick Pennefather to speak at an event for their students, industry partners and the government to talk about the future of creativity. 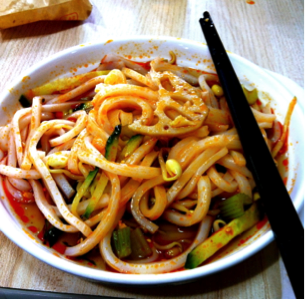 Read Part 1 of their China Adventures. Here’s Patrick Pennefather’s account of the second half of their trip. 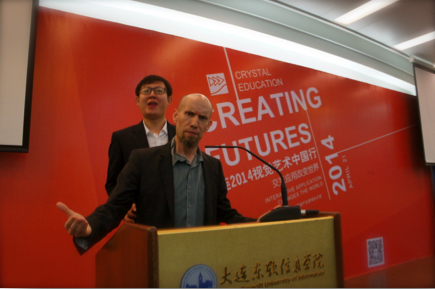 Arriving back in Vancouver 10 days after being one of two headliners for Crystal Education’s Creating Futures 2014 Tour, I’m still coming down off the high from incredibly fast-paced four-city visit of Beijing, Dalian, Xi’an and Zhong Shan. 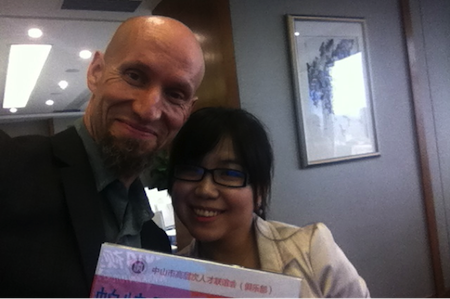 I’ve reported on Beijing, which you can read about here. From Beijing we flew to Dalian and after trying out a non-smoking hotel that was not a non-smoking hotel, we ended up in a Japanese style hotel…wait what? Next day, before the show started, we were treated to a very fine lunch with dignitaries and government officials, right above an awesome swimming pool. This was our view. 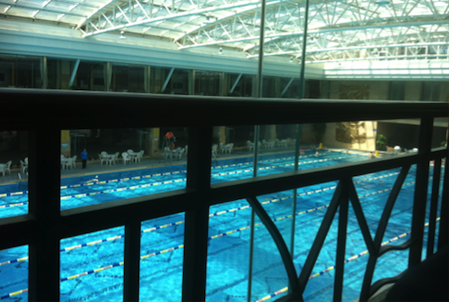 And no, sadly we weren’t able to go for a swim afterwards, although they found my suggestion…amusing. A fairly decent sleep didn’t prepare us for the amazing campus of the Technological University that we presented at or it’s view. 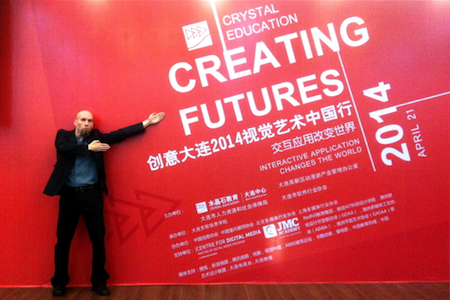 But it did prepare us for the Dalian audience, which was quite receptive to our selfies and Crystal Education’s local president’s photo bomb as we warmed up the crowd…and of course, our presentation. 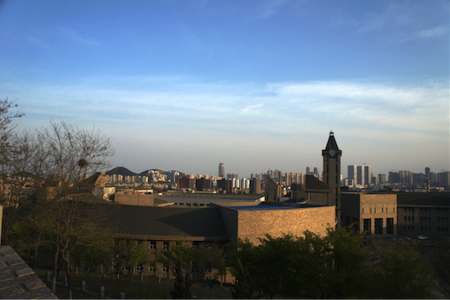 Xi’an, a teeny tiny city of 6.5 million, had a smaller audience but was nonetheless excited at our arrival. 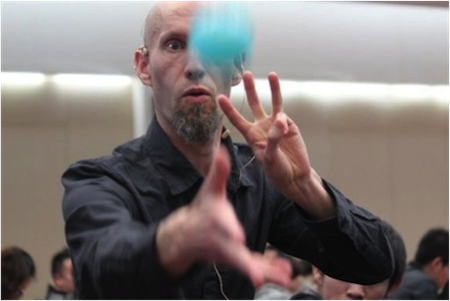 This is a pic of me warming up the audience with a game of catch. Later in front of an audience of about 300, I managed to coerce a few people on the stage to demonstrate some of the values of play. Now throughout this tour I had been providing some lessons learned from my experience as a musician, composer and educator. One of those lessons learned was expecting the unexpected, because you never really know what’s going to get thrown at you. The practice is to develop the resilience of improving the quality and speed of your reaction to those unexpected challenges that collaborating with others yields. 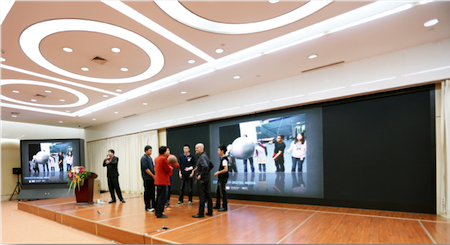 Although Bill and I created four different versions of our presentation to suit the needs of the stakeholders present at each session, what I didn’t expect in our last city of Zhong Shan were some unexpected treasures. Take this visit to UNS. 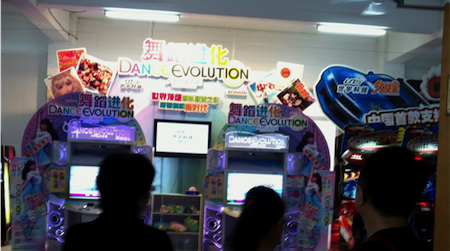 We expected a console manufacturer but did not expect the makers of Dance Evolution and other arcade consoles. 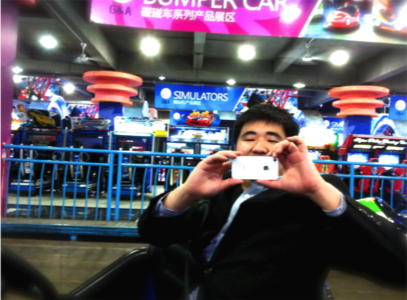 So like a kid in an all you can eat candy store, off we went from one manufacturer to another and played. 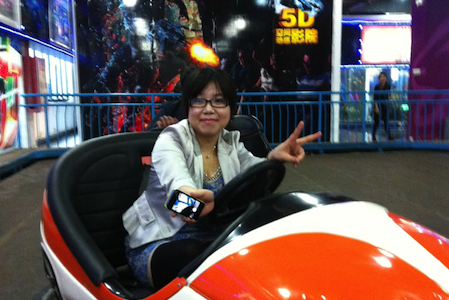 And when we got bored with all that 3D and 4D, we even got bumper cars. 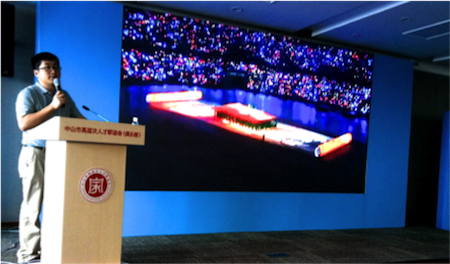 Now as for the presentation, the Crystal CG (the industry-side of Crystal Education) rep was there and showcased Crystal’s work at the Beijing 2008 Olympics including how they generated the illusion of add-on fireworks at the closing ceremonies. When it came to my presentation, we were advised to focus the talk on the meeting place of industry and government and we showed off the amazing partnership that is the Great Northern Way Campus back in Vancouver. 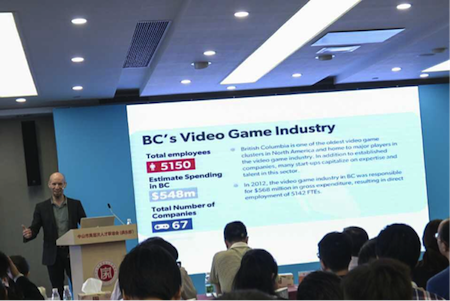 In terms of industry, the one that most interested them was the games industry in Vancouver. In terms of the audience’s expectation in regards to me, however, what they came to see or hear rather, was my music and the lessons I learned from being a sound designer and composer for the last 25 years. To our surprise the Q & A became focused on questions and on playing a variety of music from my repertoire. To answer one question Bill dared to me use my skills live and so an interactive music show and tell developed, where I guided the audience to generate sound effects in order to show how player action in-game can influence the music and sound that is generated. 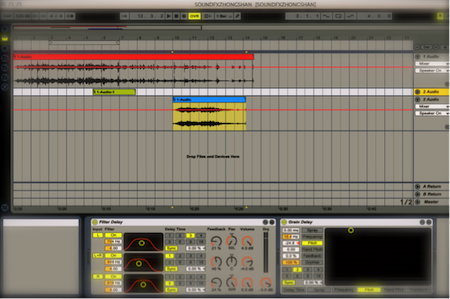 Below is a screenshot of three sounds I had the audience create: clapping, the sound of being surprised, and the sound of morning traffic, which I then manipulated. Along the journey, Bill was amazing in his ability to not only translate, but to further deepen some of the tools and ideas that I and others at the CDM facilitate. The response to our four presentations was an overwhelming success and we look forward to future collaboration with Crystal Education. …and of course Crystal CG. We also look forward to developing relationships with some of the industry pictured above in the digital media industry in each of the four cities we visited. 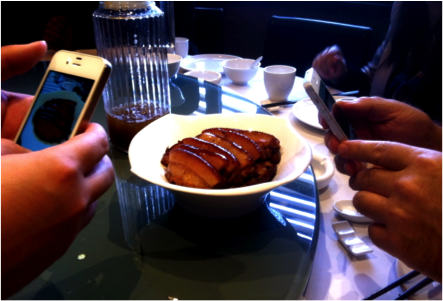 Xie xie China and thanks for all the amazing food.